This charming villa accommodation is located in the quiet area of the Central Ban Lung, a short walk to the market and bus station (300 m) , shops and restaurants. Free internet and free Wi-Fi are available for guests. 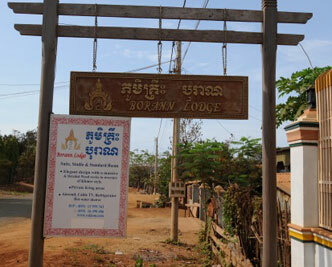 For those who want to use Ban Lung town as a base to explore Ratanakiri, Borann Lodge is simply the perfect choice. The lodge offer you with elegance and comforts that you may expect in the remote province of Ratanakiri. The villa is built in an elegant design with massive and details wood work in structure and in both interior and exterior areas. The roofing tile is made of wood, hence rendering the cool temperature inside the house. all furniture in the bed rooms and living room is made of wood whose design and the craftsmanship of the work are very impressive and beautiful.